Students from both MINT Senior High and College weren’t only achieving things inside their classrooms, but also were able to showcase their skills on the events they participated in. 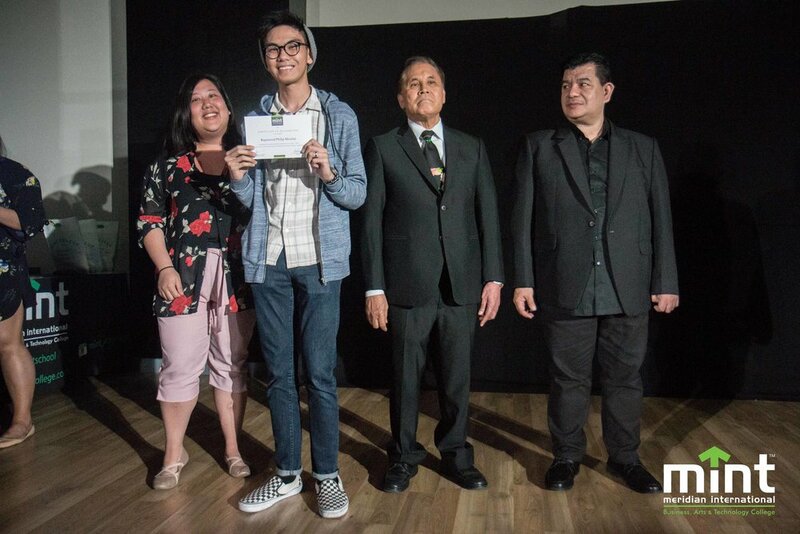 Last February 28, select students were lauded for their academic performance and applauded for their best works at the annual Prevue: Student Honor Show. An award ceremony was prepared for student achievers and their parents. The walls of the campus were also converted to a temporary gallery of curated best works. Artworks from Multimedia art classes were mounted on the walls, while best films and music were accessible on the listening and viewing booths set up at the Cafeteria and Space Oddysey. The exhibit also had an interactive live poll that the students, their parents, the faculty, and invited guests could participate in. The cocktail hour before the program proper was filled with performances by Music Business Management and Spotify Philippines artists like Jellie Villanueva, Meg Mangoba, Pauline Cueto, and Sam Ayson. As for the program proper, premier Soprano singer Stefanie Quintin sang foreign classical songs and kundiman. The program officially began as MINT President Baltazar Endriga gave his welcome remarks. In his speech, he mentioned the recent achievements of both senior high and college students. 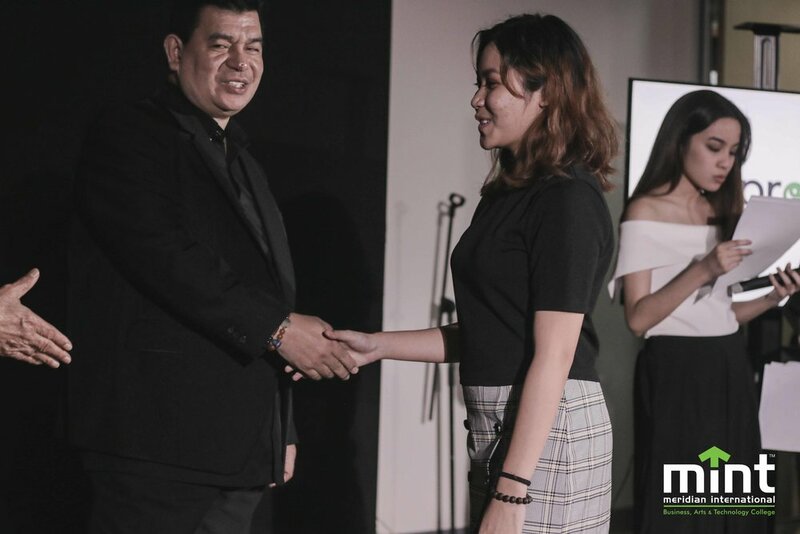 He emphasized how these students represented the school the best way possible by winning competitions such as De La Salle University’s DeMAND 2018 and Start-up Weekend Manila, with their outputs at par with professionals they competed with. Several students coming from business programs like Marketing, Entrepreneurial Management, and Music Business Management comprised the winning teams named by the school president. He also spoke highly of the senior high and college Multimedia Arts who managed to finish two huge murals inside the Venice Grand Canal Mall, here at McKinley Hill, Taguig. He also bid good luck to the current competing team from MINT Junior Marketing Association who will be making their final presentation today.